Welcome to the website for author and journalist Tania Tirraoro. Here you can read about my books and find links for where to buy them. You can view my other work as a journalist and sometime cover designer and please leave a comment to get in touch. 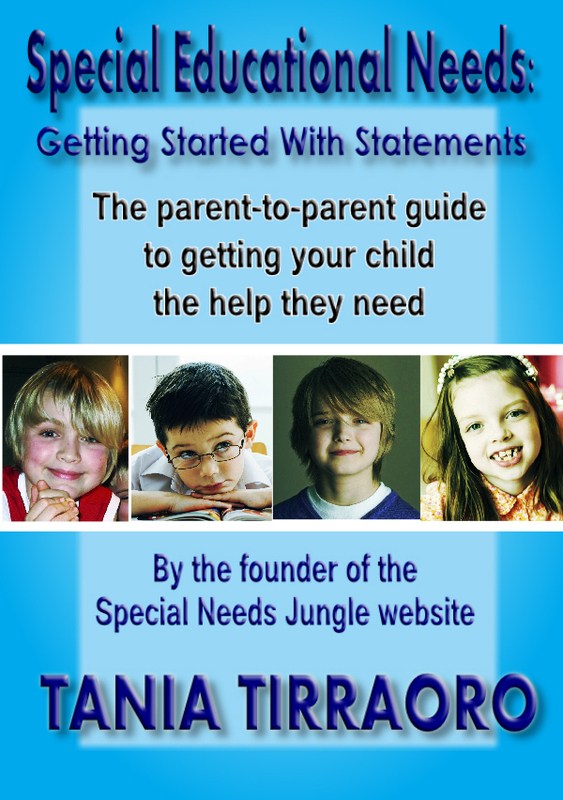 Special Educational Needs: Getting Started with Statements is a parent-to-parent guide to starting to compile a statutory assessment application for you special needs child. It's tough enough having a child who has special educational needs - getting them the right help can seem like an impossible task. This book sets out in a simple, easy to follow way, a step-by-step guide to how to prepare the best application you can. You will learn what reports you should have, how to get them and how to organise your application with real extracts from successful cases. There are also parent views of their experiences and what to expect if you have to appeal, written by a parent advocate expert. Tania Tirraoro has been through the statementing process successfully twice with her two sons. "I thought if it was tough going for someone like me, an experienced journalist, what must it be like for someone who's probably over-stressed and who's never had to do anything like this before? 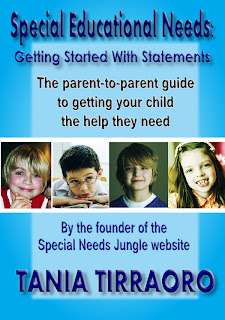 I started my Special Needs Jungle website to help other parents navigate their way through and that has evolved into this book. I hope parents in my position will find it useful." While aimed at the UK Education system, parents everywhere will find it useful if they are trying to organise a case for their child. c. Tania Tirraoro 2011. Ethereal theme. Powered by Blogger.